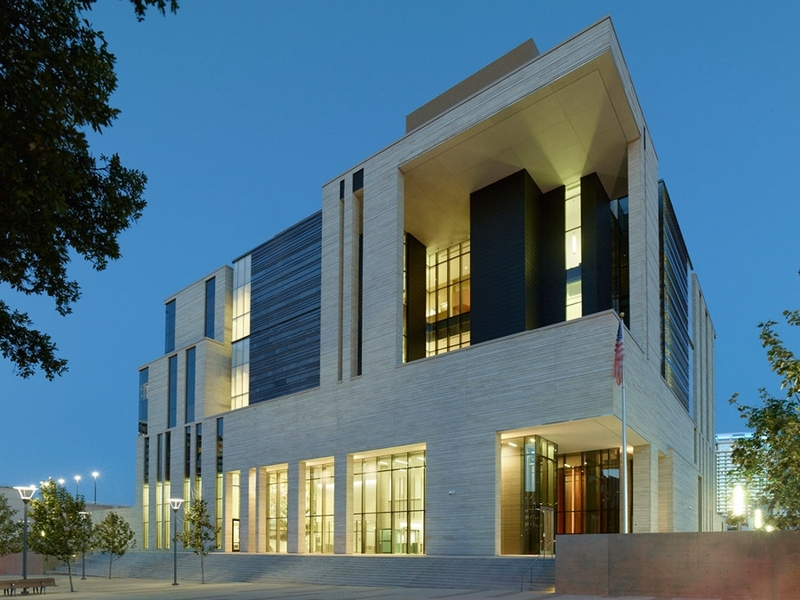 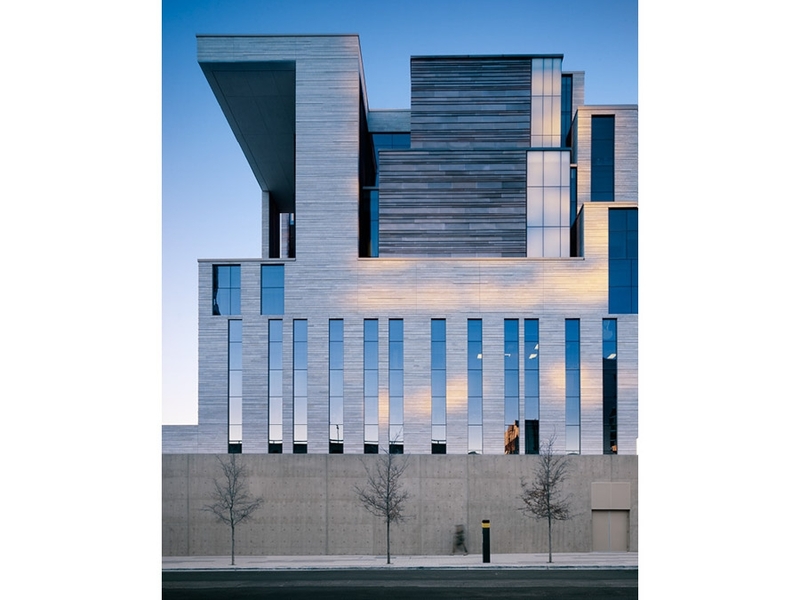 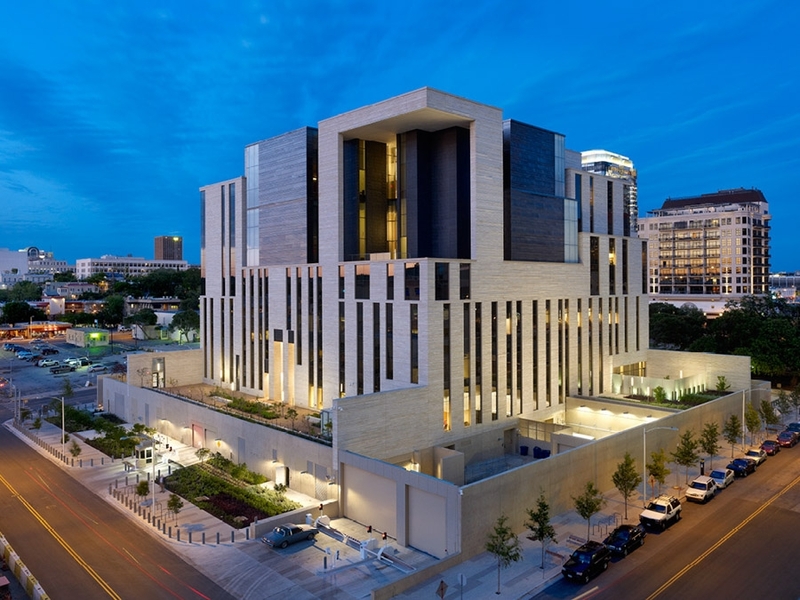 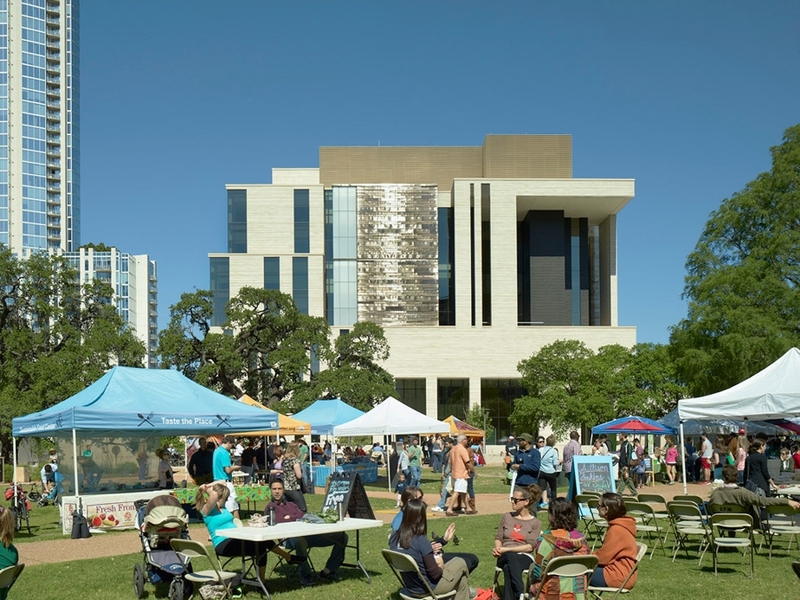 Located in downtown Austin, the courthouse will occupy a full city block directly west of Republic Square Park. 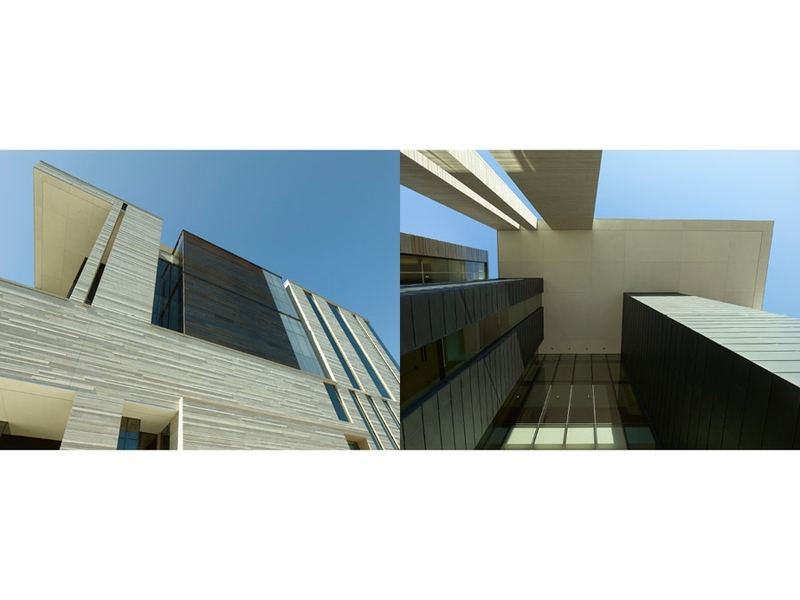 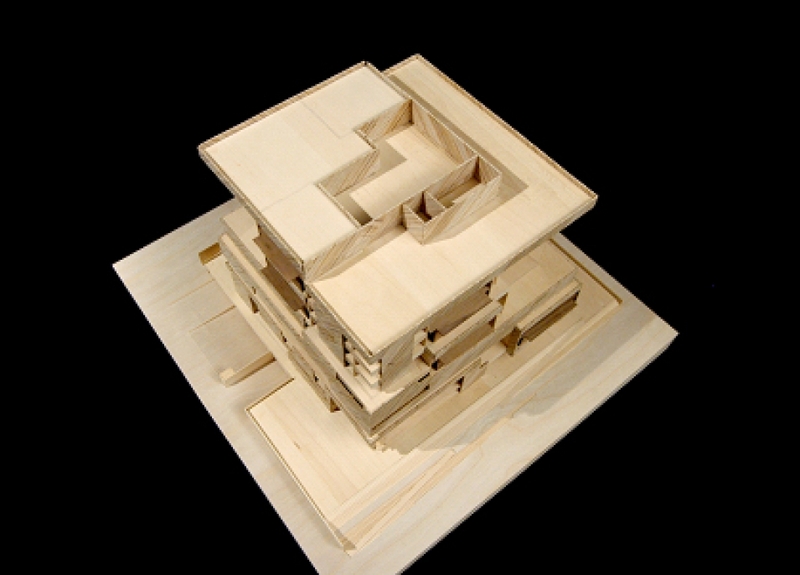 The square configuration of the site sponsors a highly compact, cubic building form. The stability of the cubic form exemplifies the strength, coherence and dignity of the judicial system. 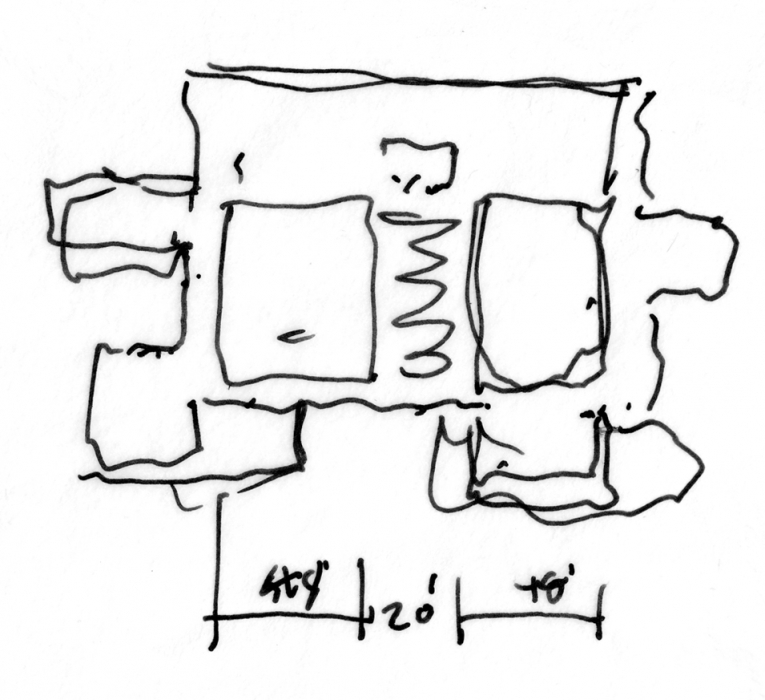 Floor plates approach a square configuration. 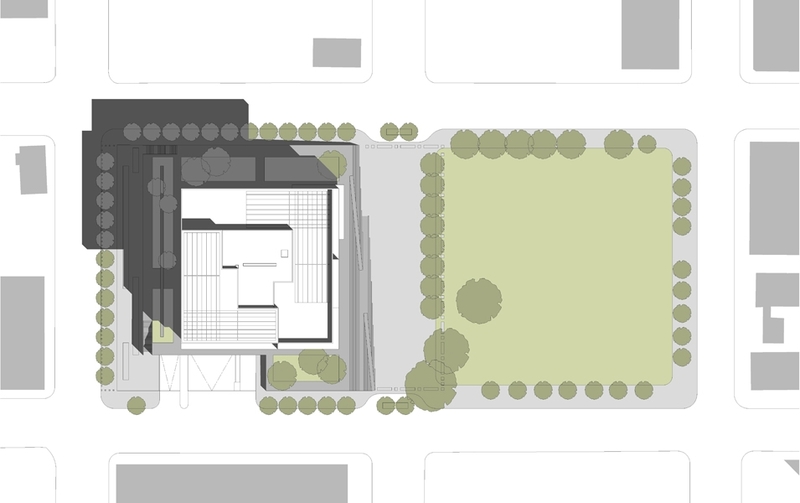 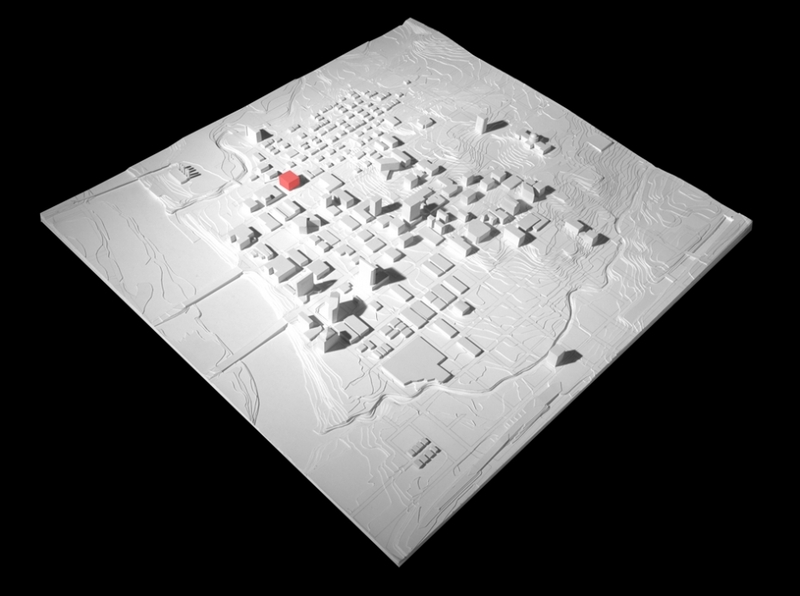 A plinth forms a base holding the sidewalk-edge, providing anti-ram protection and addressing the scale of the park. 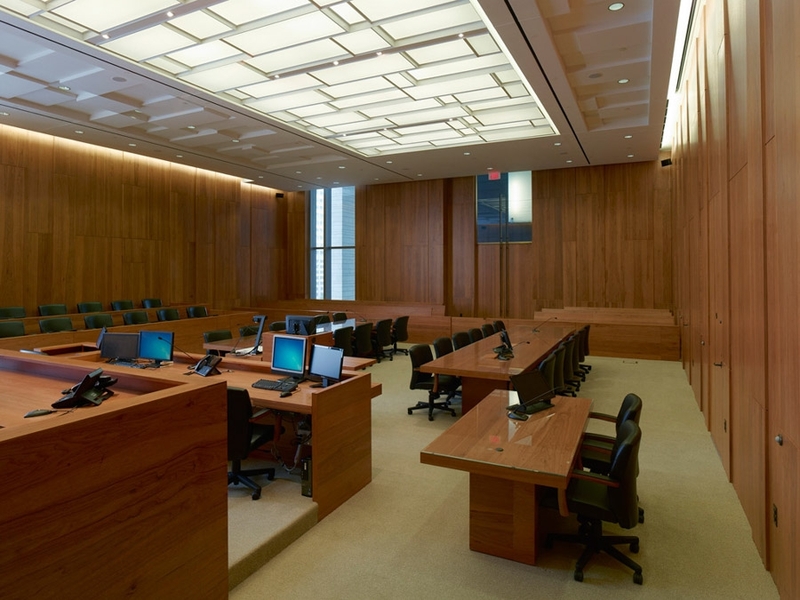 Level four marks the beginning of a rotated and interlocking courtroom distribution scheme. 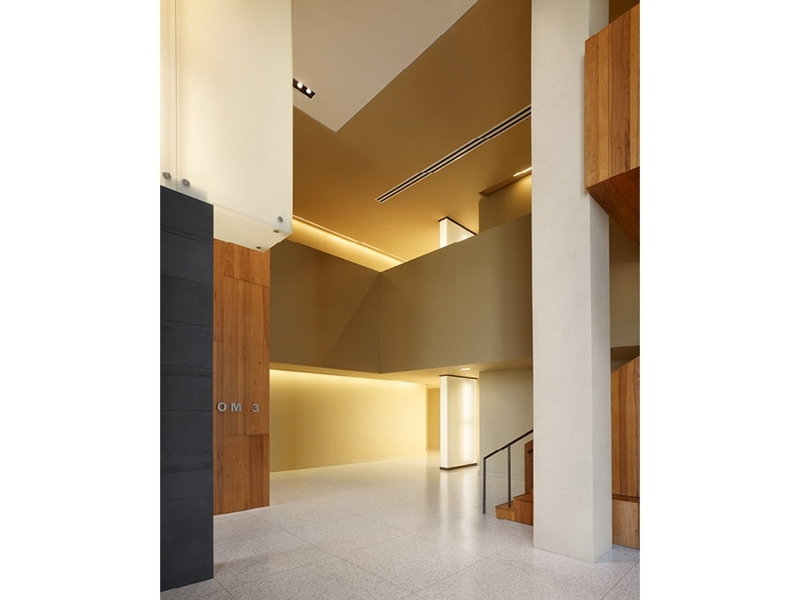 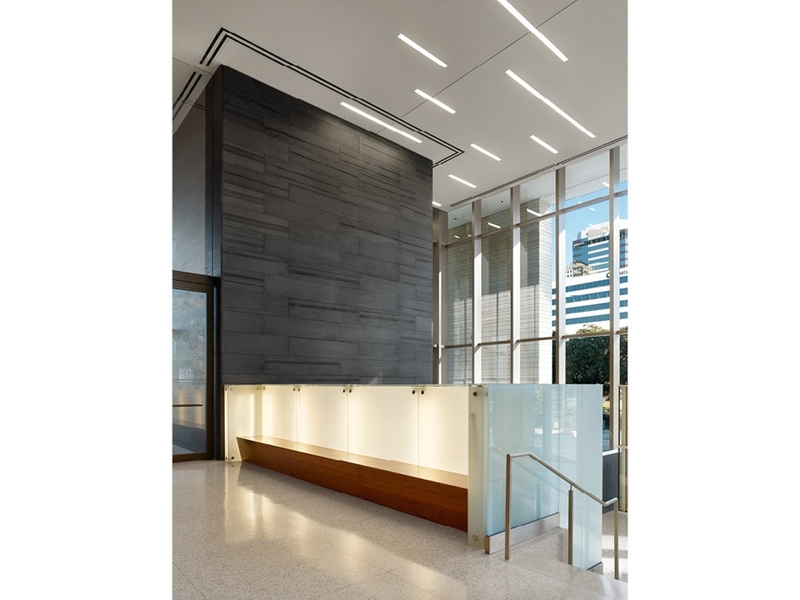 All floor to floor heights at the courtroom levels meet the ceiling height requirement for offices and chambers, with courtrooms attaining their required ceiling heights by penetrating the floor directly above. 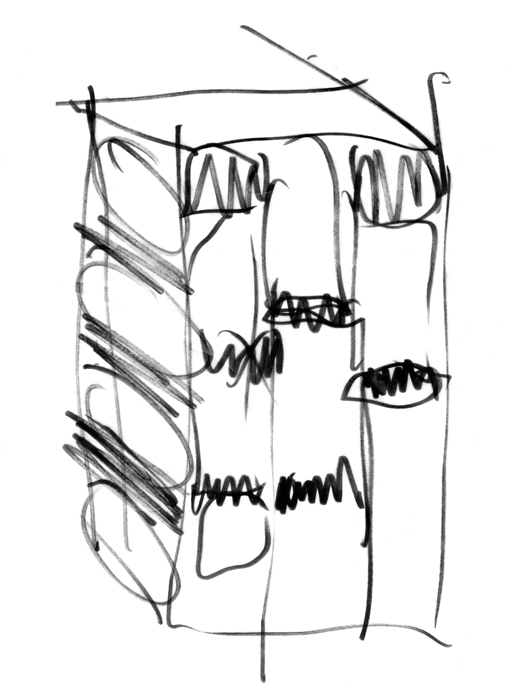 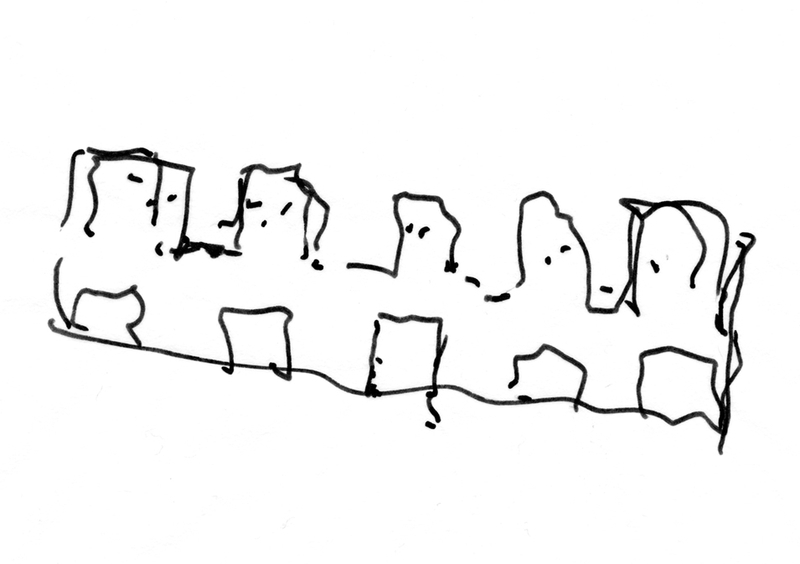 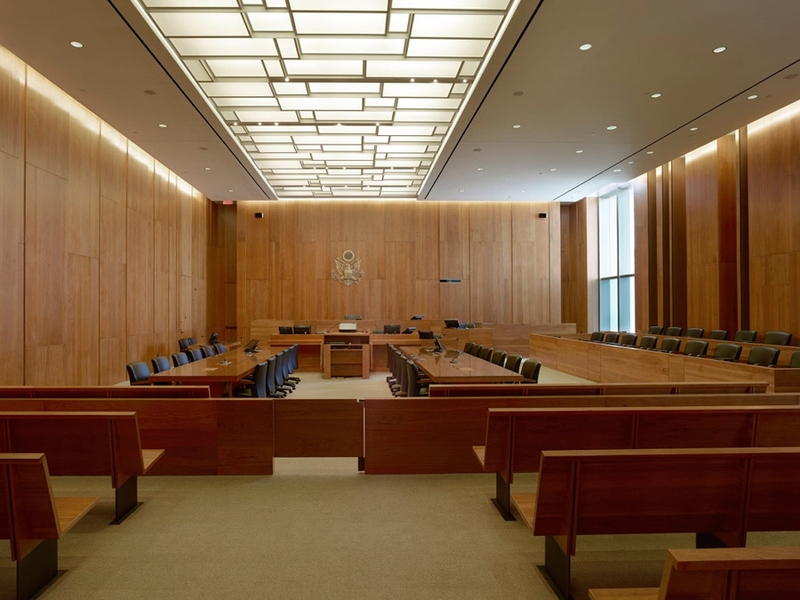 Like courtrooms are stacked affecting a rationally organized structural system and an efficient area to volume ratio. 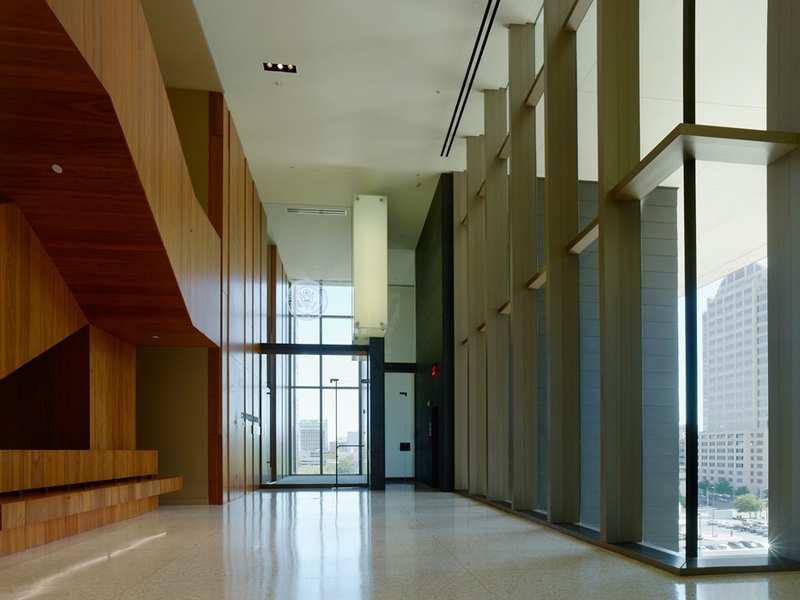 On each courts level, one district and one magistrate courtroom share a public space. 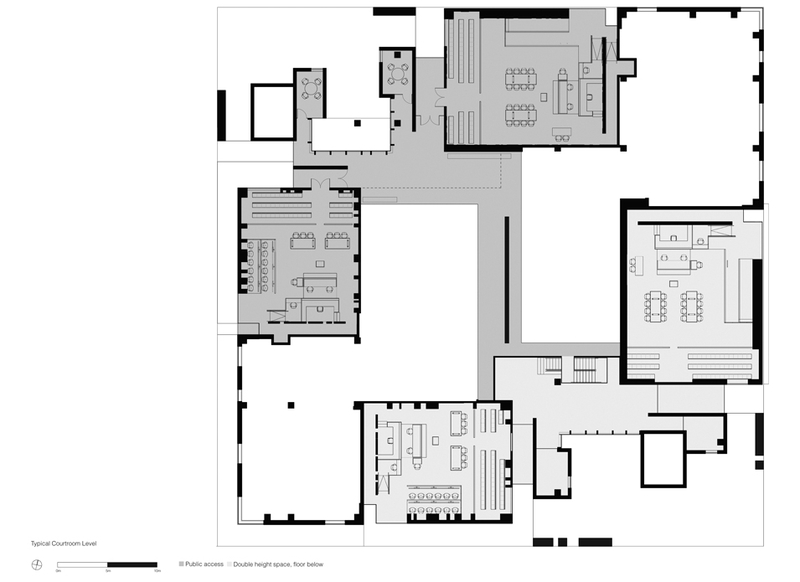 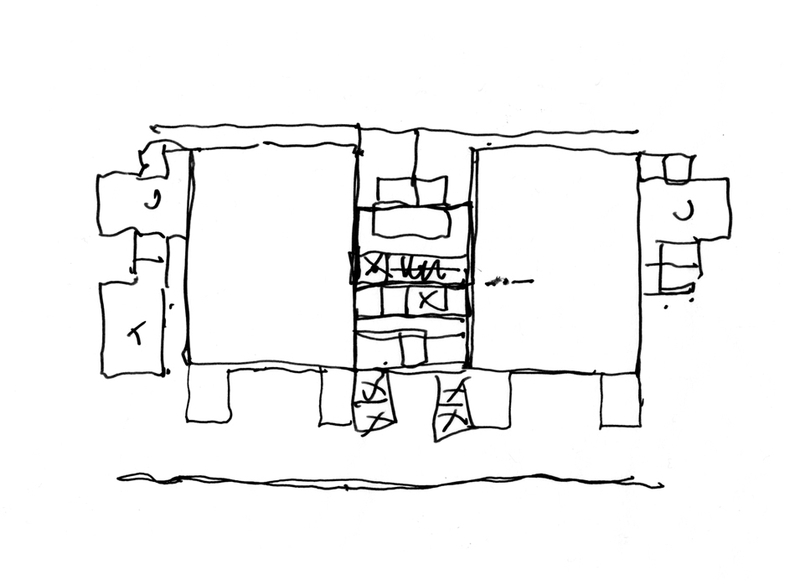 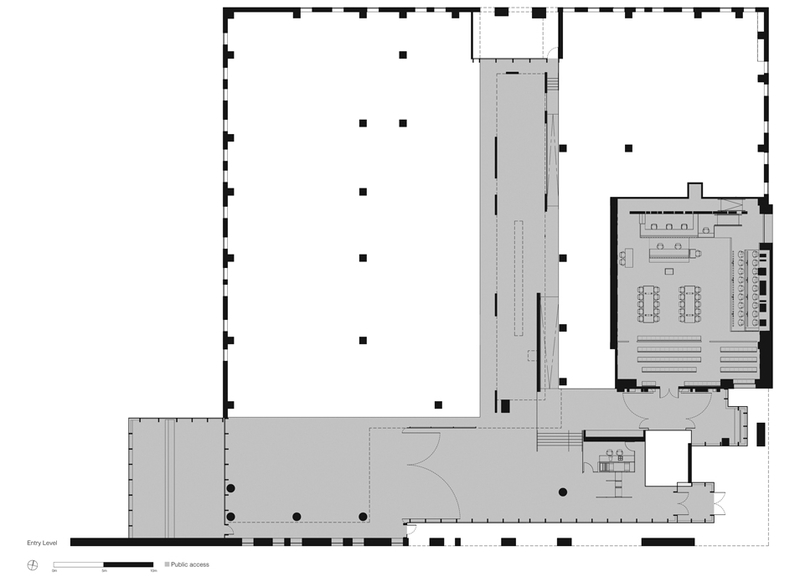 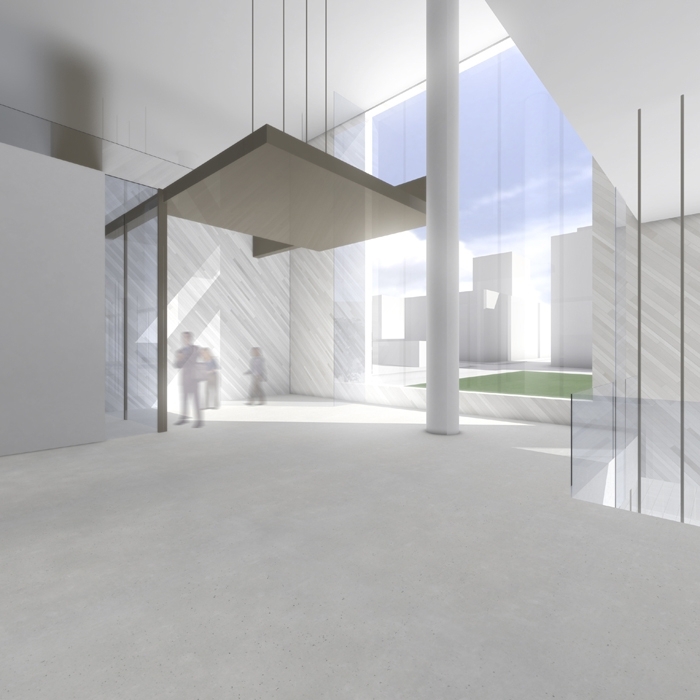 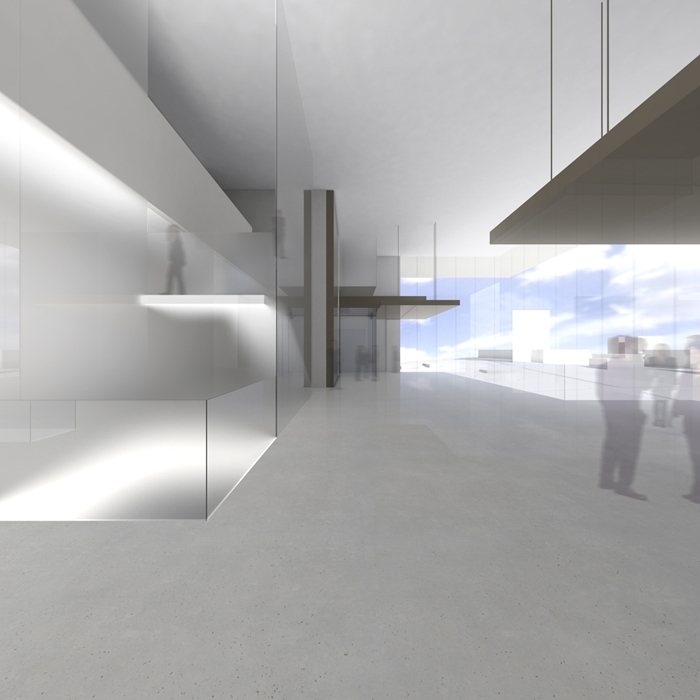 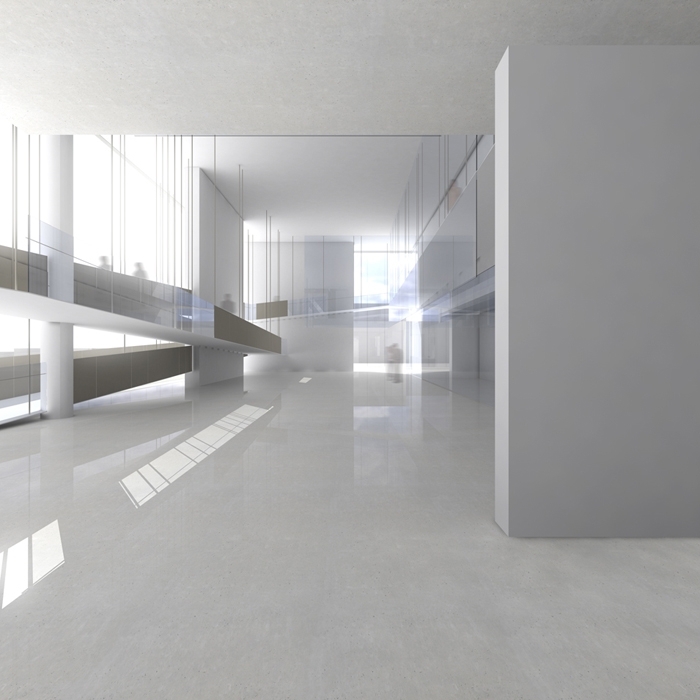 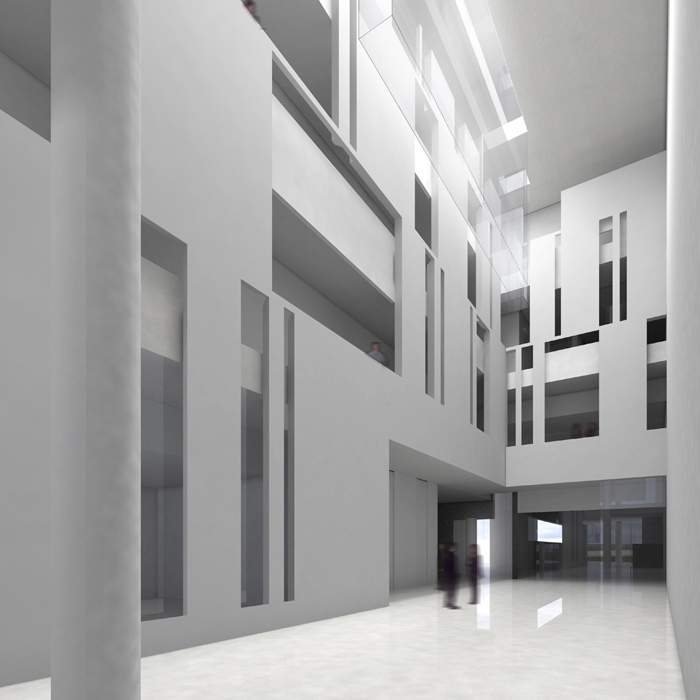 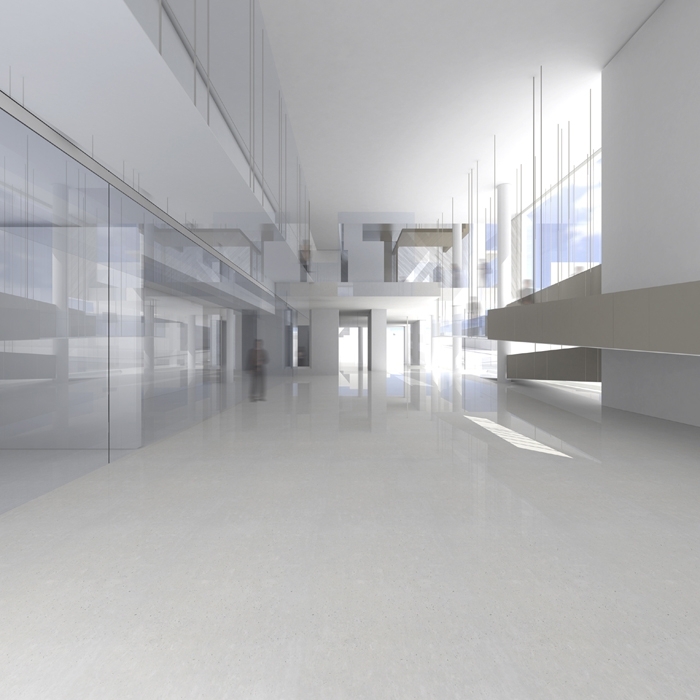 The scheme demands a diagonal exchange of public space that takes advantage, like the courtrooms, of the double-height space. 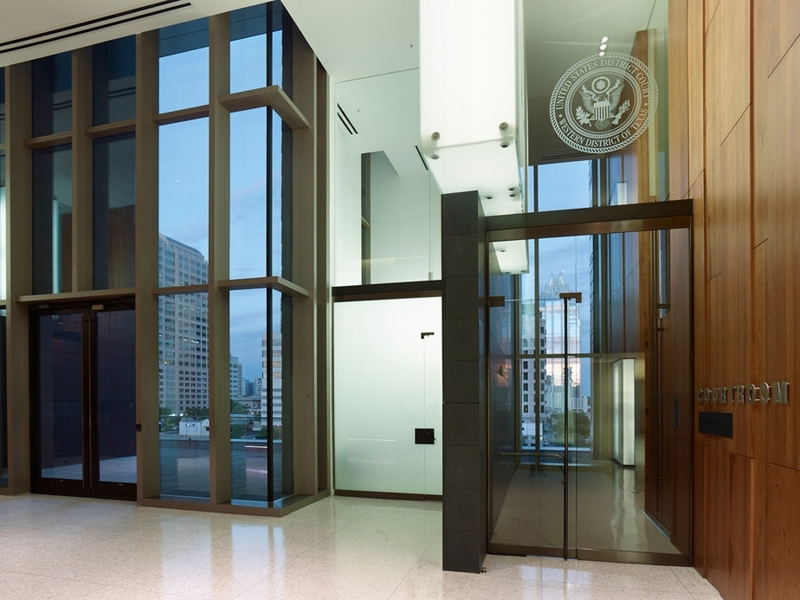 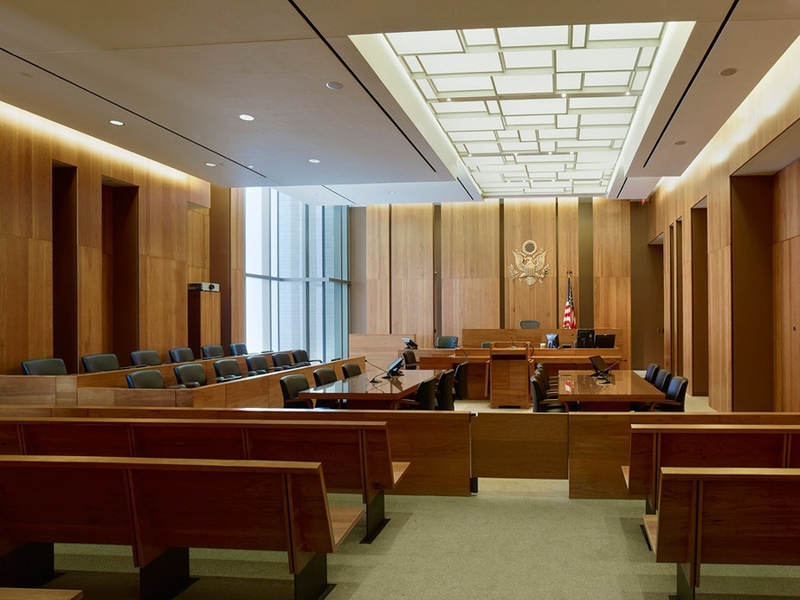 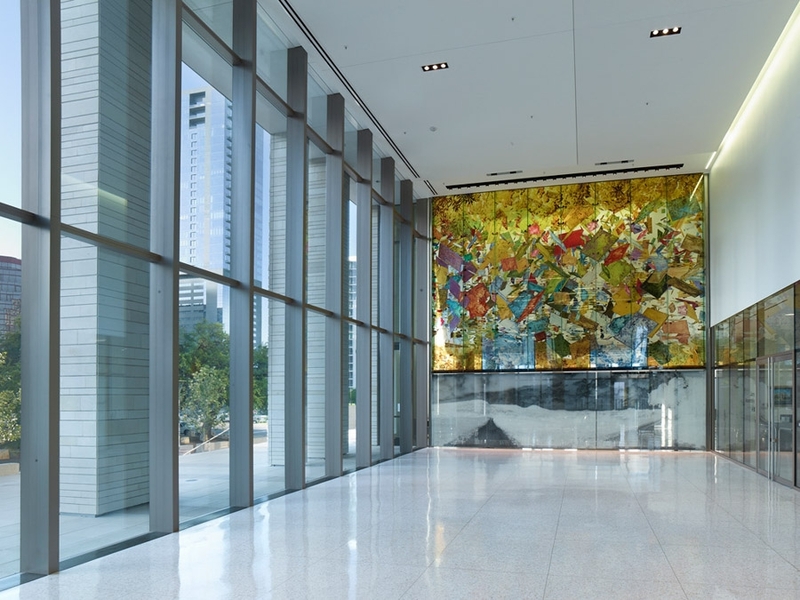 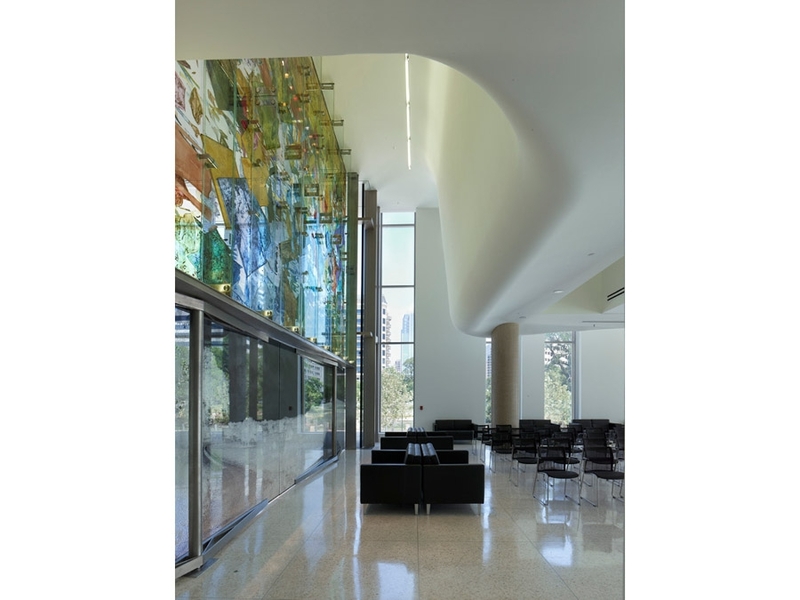 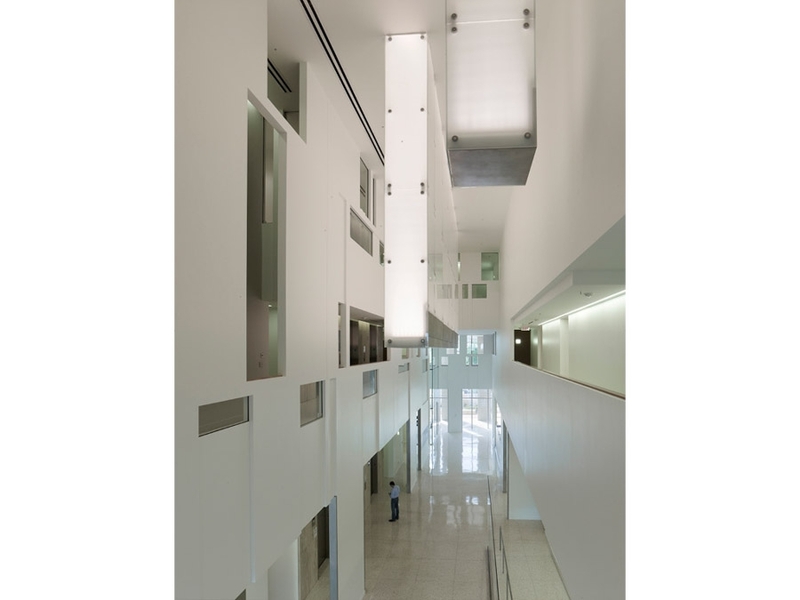 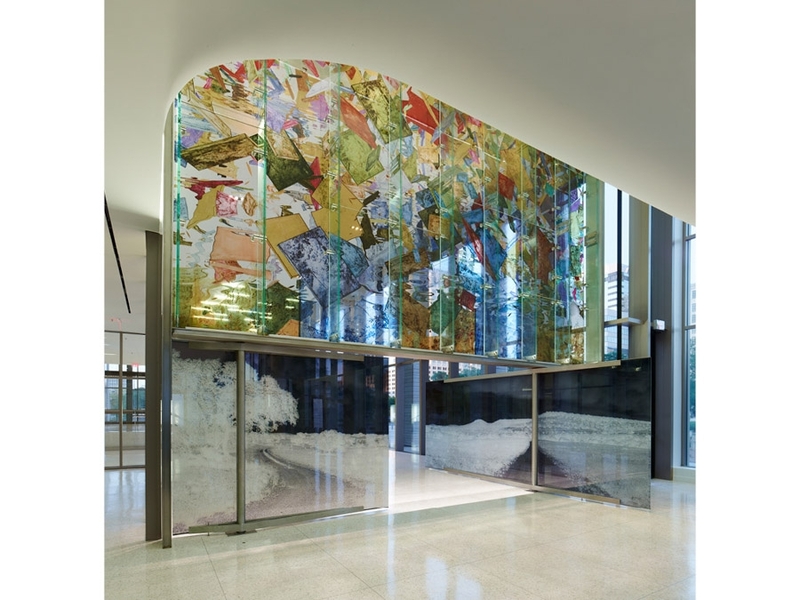 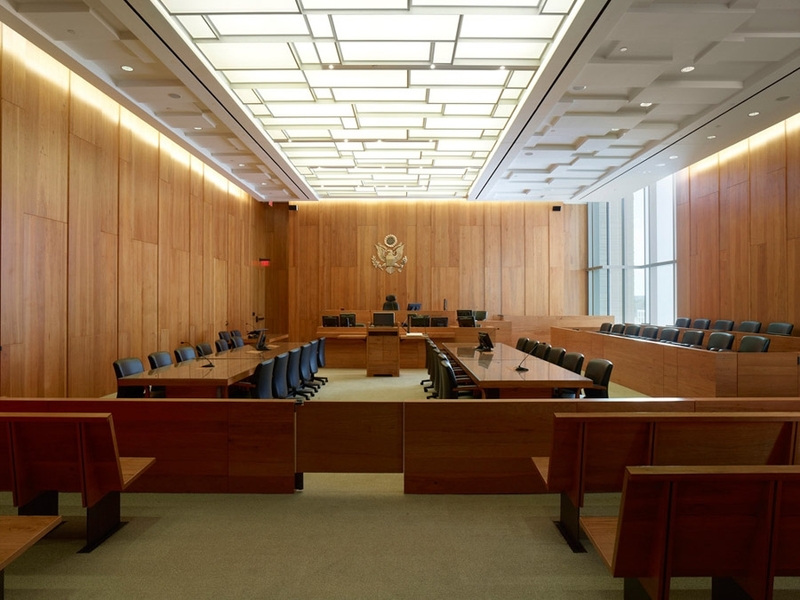 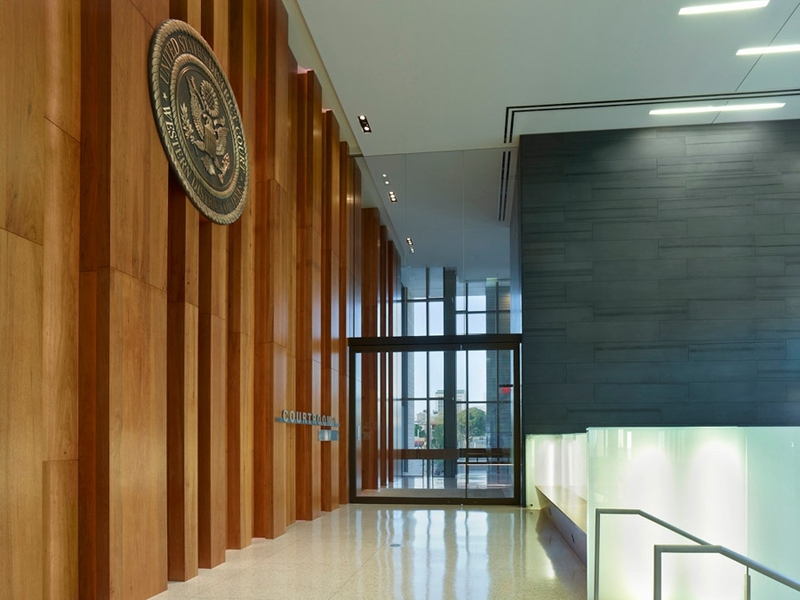 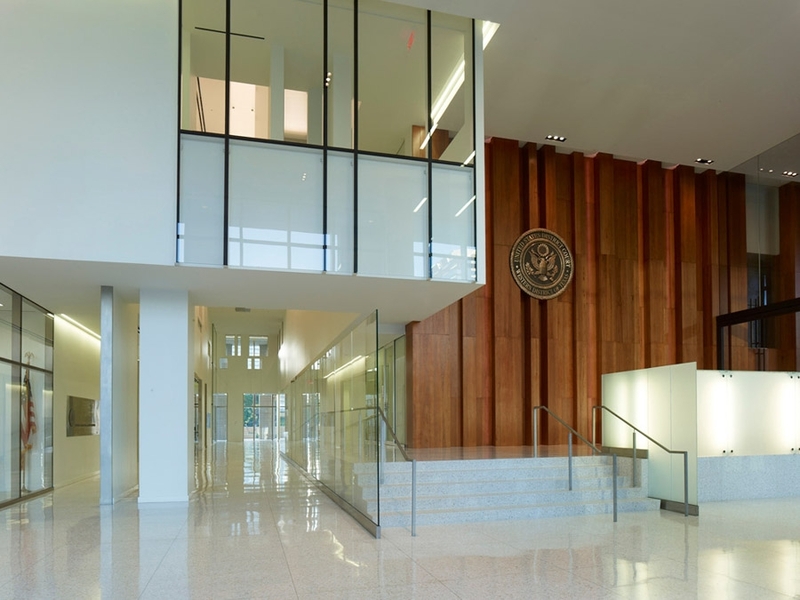 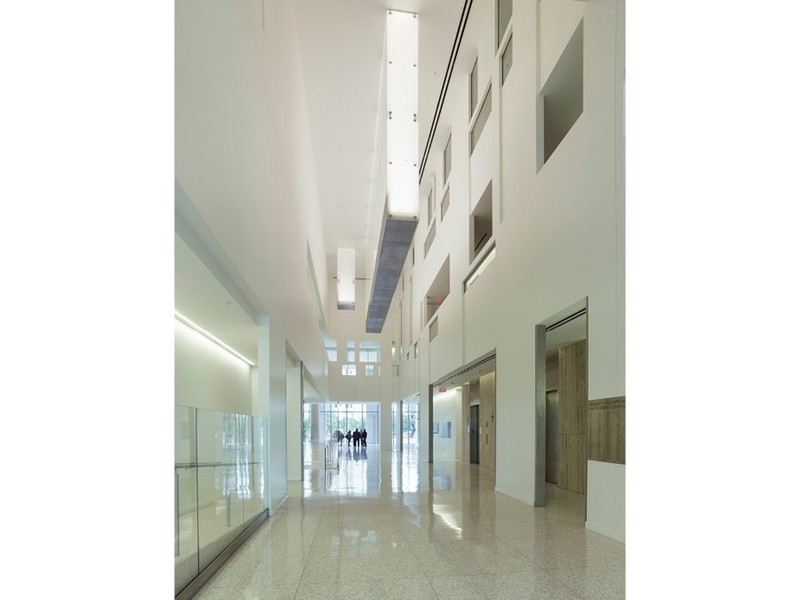 All courtrooms, jury deliberation rooms, chambers, public spaces and witness / attorney conference rooms are located at exterior surfaces where natural light is available.